This week I have some breathing space to review our software. The key one being tax software – TaxCalc. We are very happy with TaxCalc and we also like the Hub. The absence of a cloud version is now a strong incentive for us to look elsewhere. I am looking at Taxfiler. I am not sure which way to go. I so wish TaxCalc had a cloud version today. Taxfiler is a new player. Being a new player it has not yet won my confidence to go ahead with it. Though I think it is important to give it a chance. I will give it a serious consideration. It is scary moving away from a key software provider. The hassle involved moving the standing data and also ensuring all the rolling figures for the next tax year are taken into the new software. I really want to take the cloud in a big way. The convenience of working from anywhere has many benefits. I fail to understand why some of the software providers are not going forward with cloud versions. It may be because the majority of accountants do not want to go this way. Equally important factor may be it is not financially viable. I am also looking at cloud versions of payroll software. I use the highly praised Moneysoft. As someone mentioned on Accounting Web that praise is based on users not having used more than one other software in the main. So I take the praise with caution. I am happy with Moneysoft. 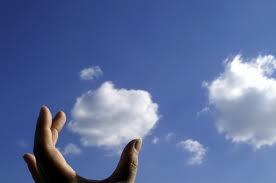 At same time I want to keep an open mind on cloud payroll software. I will continue with my search. My ideal is all the practice software to be in the cloud. Going hosted is not the same as software built for the cloud. Plus why should I pay extra costs for desktop software to be hosted in the cloud for me? Not worth it.